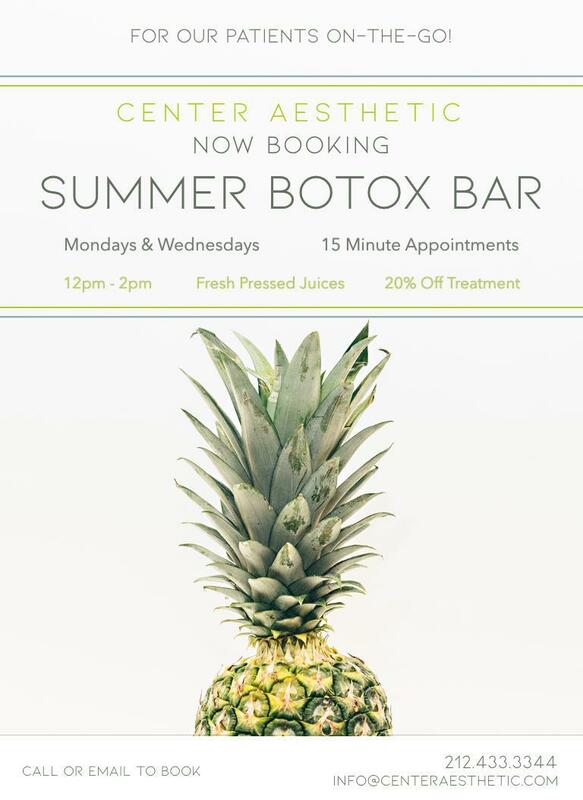 Center Aesthetic & Dermatology Blog Free Botox is *actually* a thing. And Dr. Karcher's got it ready for you. 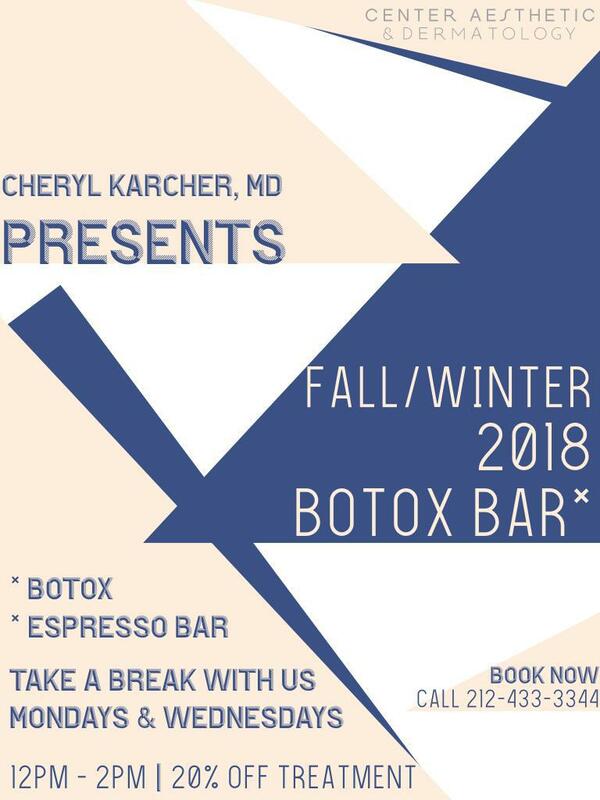 If you've never been to Center, you probably haven't had the pleasure of meeting our totally brilliant and radiant Dr. Cheryl Karcher (which is a real bummer). 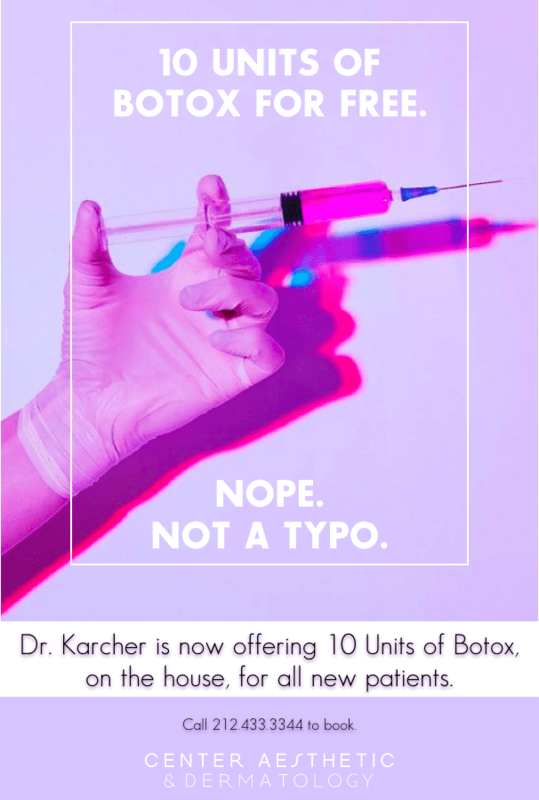 To change that, we're thrilled to offer any new patient 10 Units of Botox, on the house, with Dr. Karcher. 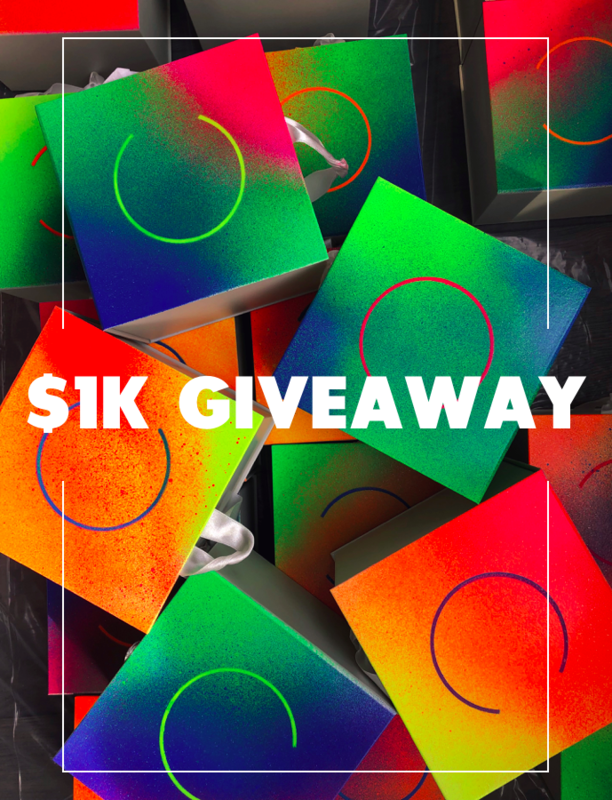 That's worth $200.00 in treatment. 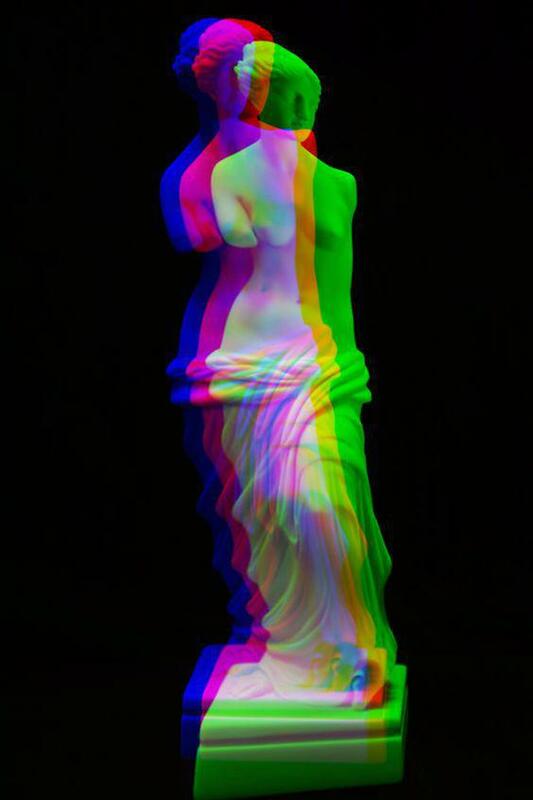 Which is, well, pretty rad. It's no surprise that the team here at Center loves us some Botox. It's a part of our beauty regimen, it helps our skin look better (by hindering oil production! ), and keeps us looking fresh and rejuvenated. Botox Cosmetic is the gold standard when it comes to wrinkle reduction. It treats crow's feet, frown lines, and forehead lines. It can also help with hypohidrosis (excessive sweating) when deodorant is not enough. Botox can help if you have a "gummy smile" by relaxing those muscles above the top lip. It can narrow your jaw line to create a more "heart shaped" facial shape. It can help alleviate your headaches if you're prone to migraines. It truly is a miracle worker! If you've been considering Botox for a long time but may be a little nervous to give it a try, call us and we'll talk through all of your questions and concerns. 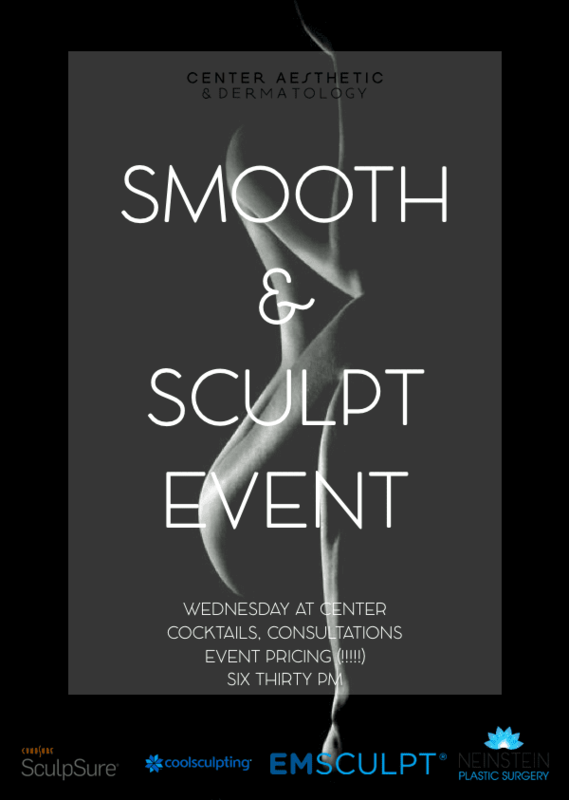 Dr. Karcher is offering complimentary consultations and there's no pressure to get treatment. Just come in and have a chat. We're here to help you feel happy, healthy, comfortable and confident.